To get myself fired up for CMJ this year, I took a quick look at some of my photos from the past two years of CMJ and compiled a collection of some of my favorite shots. 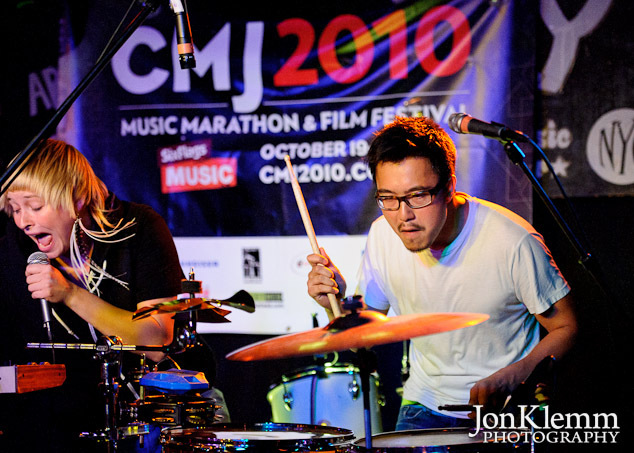 Some of the acts I first heard about at past CMJ events have since gained international popularity. Most notably, Mumford and Sons performed at Mercury Lounge during CMJ 2009, a few months before the US release of their album, Sigh No More, which went on to top charts worldwide and earn the band two Grammy nominations. Visit the gallery to see photos of CMJ performances by Mumford & Sons, Val Emmich, Emilie Simon, Diamond Rings, Malajube, Surfer Blood, Grand Analog, PS I Love You, Peggy Sue, Dale Earnhardt Jr. Jr., John Darnielle/Extra Lens, and Random Recipe. This entry was posted in Concert Photography and tagged Arlene's Grocery, Bruar Falls, Canal Room, cmj, Dale Earnhardt Jr. Jr., Diamond Rings, Emilie Simon, Extra Lens, Grand Analog, John Darnielle, Le Poisson Rouge, Lit Lounge, Living Room, Malajube, Mercury Lounge, Mumford & Sons, Peggy Sue, PS I Love You, Random Recipe, Surfer Blood, Val Emmich.